Boomerang® color-matched H3 Xtreme tire covers boast elegant, edgy styling and are available in all factory Hummer H3 colors. This official GM licensed tire cover features a chrome Hummer "key" emblem and fits securely to the spare tire with a durable automotive-grade vinyl fabric band that is stitched to a color matched, molded shell that covers more than half the tread. H3 owners love the easy installation, superior protection and very distinctive look Boomerang® H3 Xtreme tire covers add to the rear profile of their vehicles. An optional lock kit is available separately (should be ordered with tire cover). 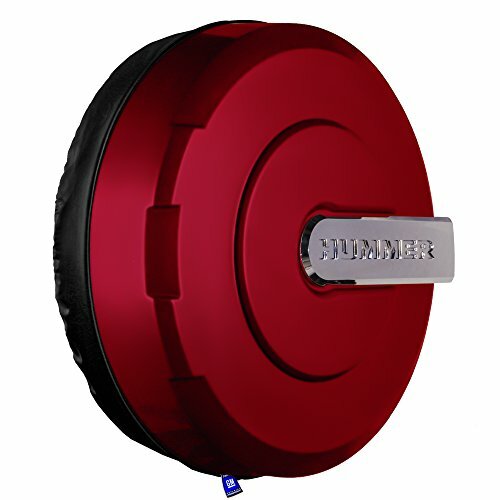 PLEASE CONTACT OPTIMUM ACCESSORIES DIRECTLY FOR ASSISTANCE WITH DETERMING CORRECT COLOR CODE OR SPARE TIRE SIZE. We can verify the correct paint code and size of your vehicle to ensure a perfect fit.